McAbee’s sells the best carpet pad for your Greenville or Upstate carpet installation, area rug, or hall runner. The right pad for the job! We often get the question, “Does my rug need a pad underneath?” And the answer is without a doubt, “Yes!” Both for the protection of your floor and for the protection and life of your rug. With traffic and furniture on the rug, the fibers of the rug will begin to break down over time eventually showing only the backing of the rug. With a pad to absorb the pressure, there is less damage to valuable orientals or delamination of machine made rugs thus extending the life and beauty of your beautiful rug. The type of pad for the rug depends on the environment. If your rug is larger with furniture atop like a sofa or dining table, then a felt pad should work perfectly since the rug would not tend to move or slide. Should you need a pad under a smaller rug such as a runner or foyer rug without substantial furniture weight on the rug, then you will need to use a non-slip pad underneath. This pad has a rubber side which grips the floor and the top side is slightly rough to the touch which helps to hold the rug. The non-slip pad is the same thickness as the felt pad and measures about 1/4 inch. Smaller throw rugs that do not need the increased cushion may require a flat non-slip pad. This flat non-slip serves the same purpose as the regular non-slip pad but does not raise the rug off the floor quite as much while still offering some support for the rug. Flat non-slip pad can also be used for a rug laid over carpet to keep the rug in place. We also have mesh pads but do not recommend using this in most cases since mesh padding offers no protection for your floor or rug and you will lose many years of use with your rug. McAbee’s Custom Carpet even offers a specific pad for outdoor rugs that allows moisture to excape and the rug to breathe. 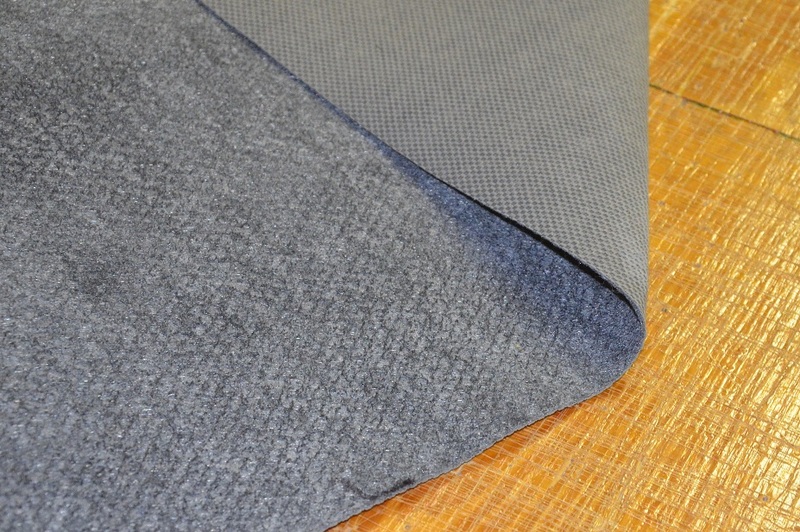 At McAbee’s Custom Carpet, we use felt padding in our stair runner installations to again extend the life of protect the carpet to allow for many years of beauty. Wall to wall installation require different types of padding again depending on the environment of the job. We typically use an 8lb. rebond pad; however if the installation is over concrete, we may recommend moisture barrier padding. The carpet material also denotes the type of padding in an installed job to give you the best wear possible from your new carpet from McAbee’s! 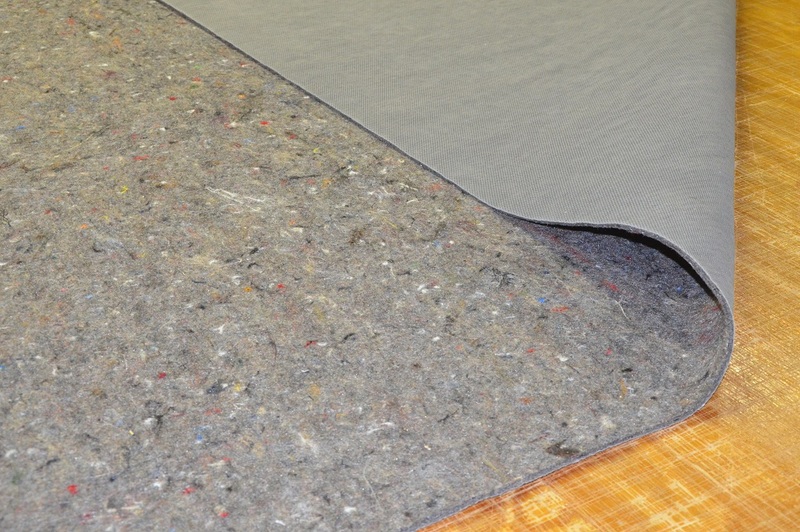 For even more information, check out our blog post about carpet and rug pad here.